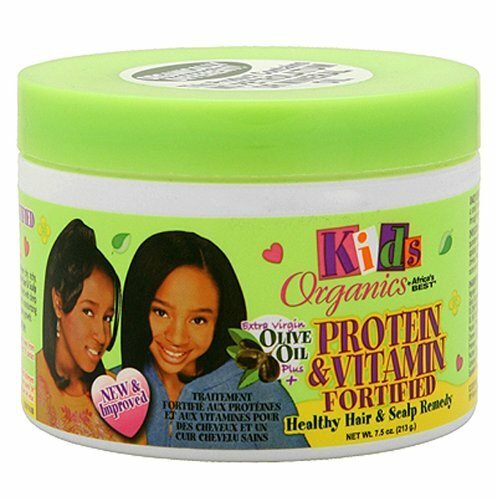 Kids Organics Protein & Vitamin Fortified Healthy Hair & Scalp Remedy delivers essential nourishment to the hair and scalp. Packed with deep penetrating conditioners and gentle enough to be used daily, this moisturizing cream helps to stop breakage and dryness, which promotes healthy hair growth. Directions: Part hair, applying a small amount directly to the scalp and on hair. Gently massage scalp. Comb or brush through for even distribution. Style as desired.